The primary target of CCMAC’s prevention and awareness campaign is to educate our children and young adults in the secondary school systems of Long Island and throughout New York. 80% of sun exposure occurs before the age of 18 and is a determining factor in ones risk for Melanoma later in life. This is one of the reasons that CCMAC has targeted the children to hear its message “Be Sun Smart”. In addition many of the children become CCMAC’s Ambassadors of Skin Cancer Prevention, bringing the message back to their families, telling them about the dangers of unprotected sun exposure and how to protect ones self from the rays of the sun on a daily basis, throughout the year. 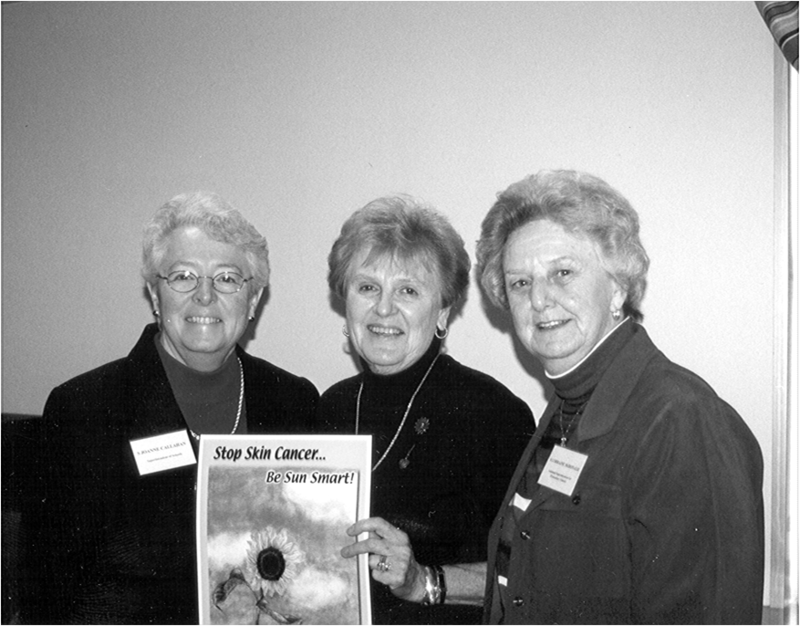 Since inception, CCMAC has been very active delivering presentations in health education classes and this year has started to provide in-services as well as print and video materials for health education and nursing professionals of school districts, so they too can spread CCMAC’s message “Be Sun Smart”. 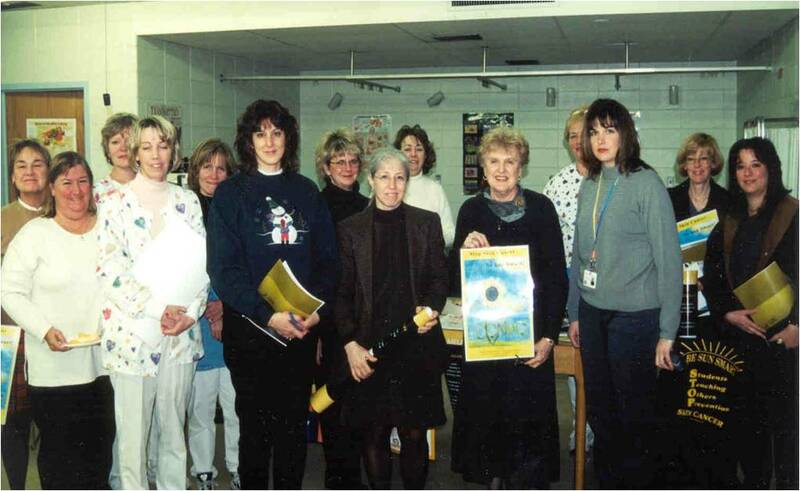 Mrs. Colette Coyne seen below (bottom left) with the nurses from the Farmingdale School Districts Nurses Association during an in-service education & awareness program.